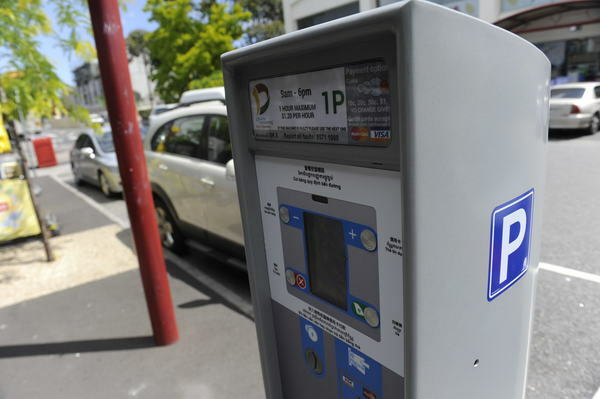 GREATER Dandenong Council is considering “tweaks” to its controversial Springvale parking meters, less than three months since their installation. The parking meters, which have been the target of vandals and have been fiercely criticised by trader group Springvale Asian Business Association, have been blamed for drivers deserting Warwick Avenue car park. At a council meeting on 25 January, councillor Youhorn Chea called for a change of strategy, such as reducing the $1.20-an-hour charge in the “mostly empty” car park as well as Buckingham, Balmoral and Windsor avenues. The meter charge was higher than nearby private car parks as cheap as 60 cents an hour. “No one goes to Springvale,” Cr Chea said. Cr Roz Blades told the meeting that traders on Springvale Road’s eastside were particularly affected, noting a recent influx of customers at Springvale South shopping centre several kilometres away. Engineering director Julie Reid told the meeting that the council would survey the Warwick Avenue car park’s use once Springvale Rise Primary School re-opens. The survey was being brought forward several months ahead of schedule, Ms Reid said. Its results were expected by the end of March. Although Cr Sean O’Reilly said he supported the meters, he said that the council should make “tactical tweaking” to the system prior to the survey’s conclusions. He said the meters could potentially enhance or damage local business, requiring the council to be more “nimble” in its response. The “obviously under-utilised” Warwick Street car park was an “obvious” target for tweaks, he said. In justifying the meters last year, the council said that meters would help decongest street parking which can be up to 97 per cent full on Friday and Saturday peak times. Councillors also reported continuing problems with broken ticket machines and boom gates at the council’s multi-deck No.8 car park in Balmoral Avenue. Cr O’Reilly recounted an incident in which he and eight other drivers were stuck behind the closed exit boom gate, with emergency calls to the car park operator going unanswered. City development director Jody Bosman said the council was in talks with the machine and boom gate suppliers. There was a possibility of replacing the technology with “less problematic” mechanisms, he said.